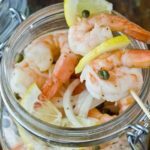 Italian-style pickled shrimp: This is simply one of most amazing pickling recipes we have ever had the pleasure to enjoy. 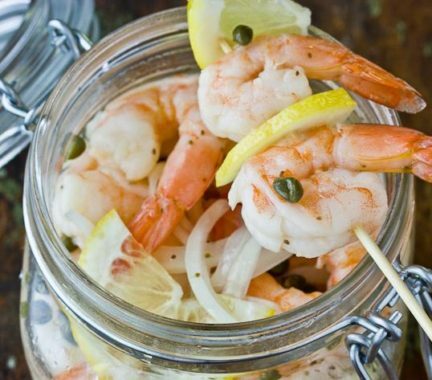 Use our capers from Pantelleria, Italy, fresh lemon and wonderful local shrimp to create a salad dish with pickled shrimp that your guests will polish off very quickly. 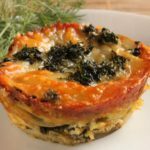 So it is just as well that this recipe is easy to prepare. 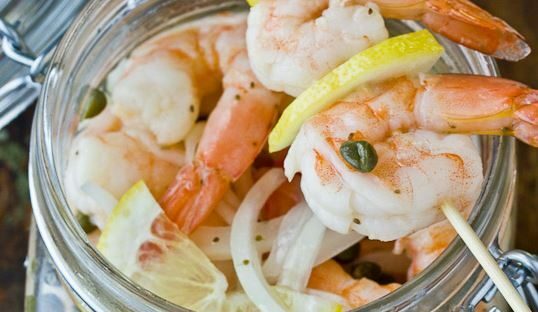 You can boil your own shrimp and add flavour to the boiling water for that extra special something that will make this recipe your own. Throw everything together, cover and refrigerate for a minimum of 24 hours.